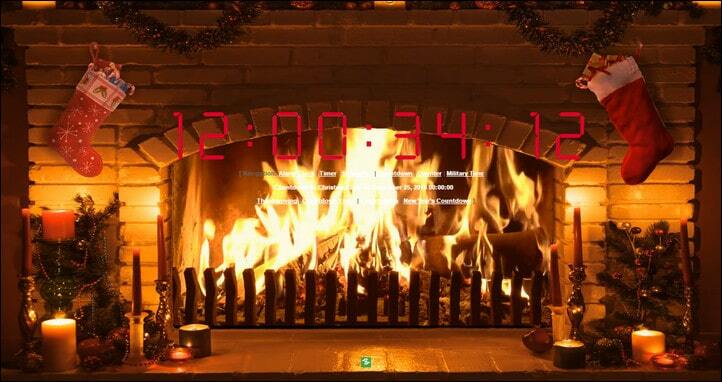 Christmas is already here and I have created a list of good looking countdown timers. 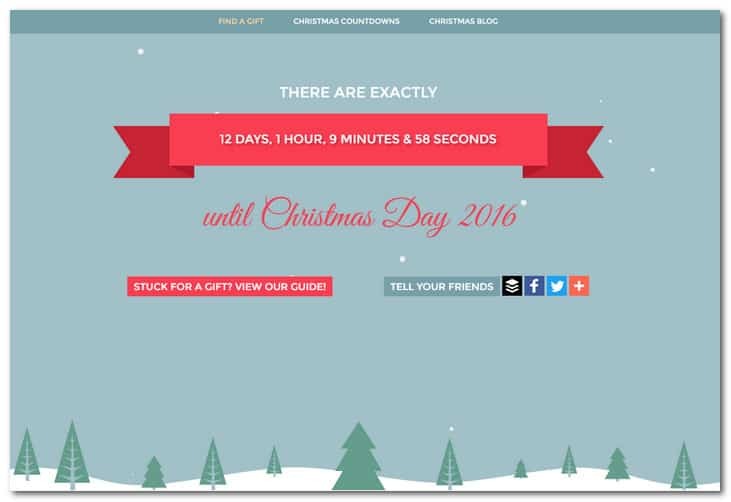 So, If you are looking for a beautiful Christmas countdown timer to put on your website, I hope this post will satisfy your needs. It is quite popular to use use elements like these. 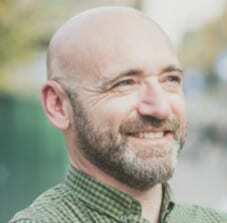 They can be a good way to make your site look dynamic and up to date. Christmas is a wonderful time and why not make your visitors feel good by sharing some Christmas cheer. Also if you have a shop selling stuff for Christmas presents it may even help put a bit of pressure on customers as time is running out. 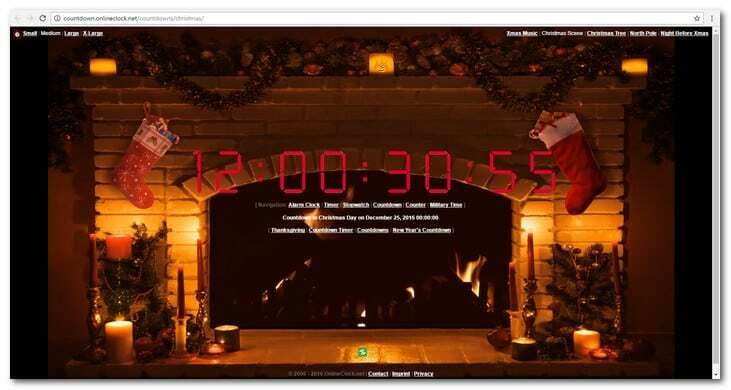 This beautiful Christmas countdown timer will allow you to check Seconds, Minutes, Hours, Days left till Christmas Day. Merry Christmas is a HTML5/CSS3/LESS optimized, bootstrap powered responsive, retina ready illustrated parallax theme perfect for landing pages, coming soon and 404 pages. Marry Christmas Theme comes with Google Map and Working Contact Form. This is an awesome Christmas countdown timer made with cool shapes, nice fonts and beautiful falling snow flakes animation. That’s so cool! But unfortunately, it’s not free for everybody :). 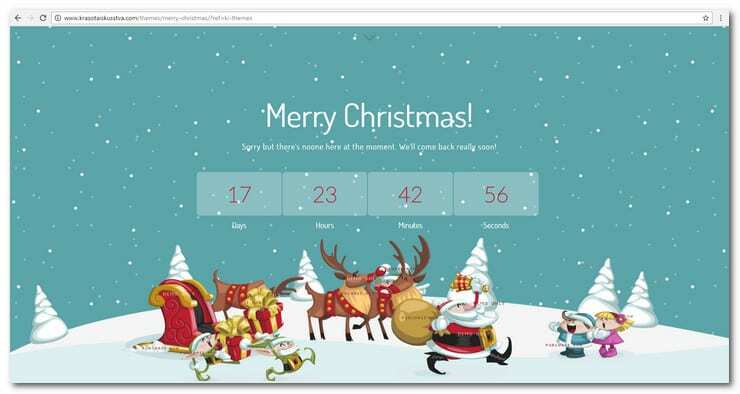 With this popular WordPress plugin your can easily displays a cute Santa Claus Christmas Countdown in your sidebar. You can even use the shortcode [countdown] to display the countdown on any post or page. 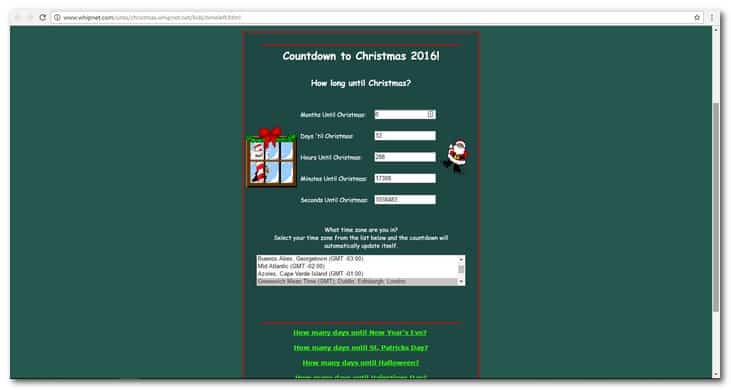 For this Christmas countdown timer, all you have to do is go to download page, get given code then paste it into wherever you wish to setup. 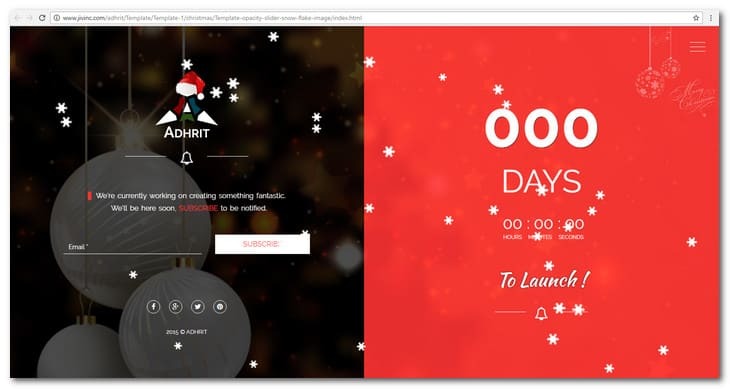 Christmas is coming, I hope you’ll find a cool countdown timer for your page from my list. And I shall be happy if you tell me more awesome Christmas countdown timers you know. Some of these are great and others need WORK!!!!!!!!!!!!!!!! Where to find a x-mas counter for Scandinavia? Christmas 24 of December instead of 25 of December? Another cool one i came across today….A proffesional design, hats off to the developers…. These are really good timers and I am thinking about getting one. Where do I place this in the HTML? Thank you very much for including our Christmas Countdown in your list…we were thrilled to discover your blog post!